Since capturing First and Third Prizes at the International Harpsichord Competitions in Paris and Bruges in both solo harpsichord and basso continuo performance, Charlotte Mattax Moersch has performed at major venues in the United States and Europe, including New York’s Carnegie Hall, London’s Royal Albert Hall, Salzburg’s Mozarteum, and Oxford’s historic Sheldonian Theatre, among others. 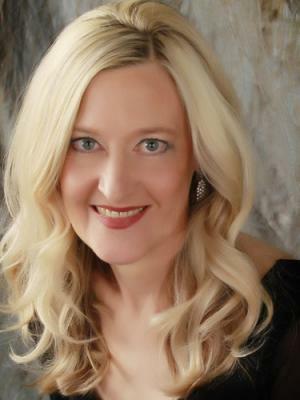 As a guest artist, she has been heard at international music festivals, including the Festival of the Associazione Musicale Romana, Tage alter musik Regensburg, and the Bethlehem Bach Festival. As a chamber musician, she has performed with the Boulder Bach Festival, New York’s Grande Bande, and San Francisco’s American Baroque, and has toured Europe with the Orpheus Chamber Orchestra. The recipient of several important awards and prizes, she was honored with a Solo Recitalist Grant from the National Endowment for the Arts and a Woolley Scholarship for study in Paris. A specialist in 17th-century French music, she is the author of the book, Accompaniment on Theorbo and Harpsichord: Denis Delair’s Traité of 1690, published by Indiana University Press. She has recorded for Centaur, Koch, Analekta, Dorian, Newport Classic, and Amon Ra Records. Solo harpsichord discs include toccatas and partitas of J.S. Bach, the sonatas of W.F. Bach, and the Piéces de clavecin of Jean-Henry D’Anglebert, Armand-Louis Couperin, Charles Noblet, and Pierre Février. Upcoming recording projects feature the sonatas of W.C.F. Bach. Currently Professor of Harpsichord at the University of Illinois, where she directs the period instrument ensemble Concerto Urbano, Charlotte Mattax Moersch studied harpsichord with Gustav Leonhardt at the Sweelinck Conservatory, Bob van Asperen at the Hague Conservatory, and Kenneth Gilbert in Paris, where she also studied organ with André Isoir. She has degrees from Yale University, the Juilliard School of Music, and Stanford University. I am a performing harpsichordist with a strong commitment to the area of historical performance. My field of expertise/performance practice, which encompasses both the history of music and performance is relevant to students in the areas of musicology as well as performance. A performer today may strive not only for instrumental virtuosity, but also for stylistic and historical authenticity, thus acquiring a knowledge of historical performance practice is vital. One of my goals is to increase awareness of baroque performance practice, my intensive specialty. To that end, I work with instrumentalists and singers of all levels in courses and performances. Graduate students at the University of Illinois play on period instruments in Concerto Urbano, the university's period instrument ensemble, which I founded in 1998. I also teach harpsichord, fortepiano and basso continuo, emphasizing a faithfulness to historical keyboard practices, technique, style, and artistry.